You can use the frame components, like corner connectors, connector plates, in their respective category to connect multiple extrusion bars together to build a frame.Using M5 or M3 t-slots its easy to assemble the different pieces together. This material is easily cut yourself, making it a versatile product to use. 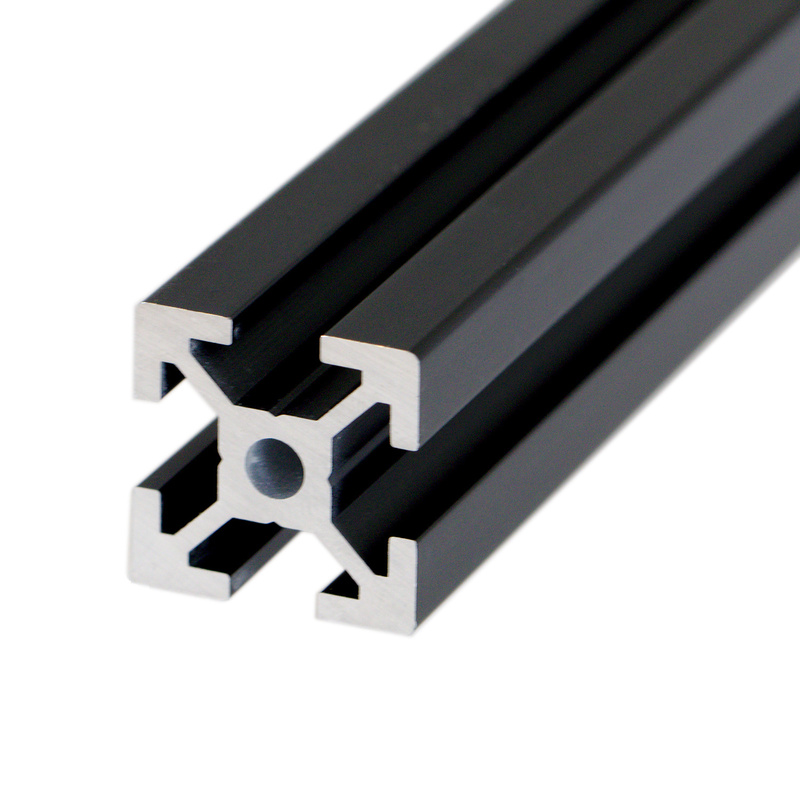 The black anodized finish will give your frame a clean professional appearance.